About T.L. Tillett's Automotive Inc. In June 2004, Tom Tillett took over his friend's independent Subaru business, and TL Tillett's Mobil Auto Repair was born. The following year, Tom expanded into a bigger space, developing what later became T.L. 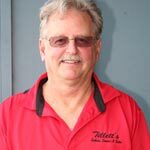 Tillett's Automotive Inc.. Tom's wife, Joann, came onboard in 2006 to implement further expansion. The business continued to rapidly grow and eventually outgrew its original shop space. In January 2009, they opened their current location, where it remains growing today. T.L. Tillett's Automotive started with 1 staff member and now boasts a highly–skilled 11–member team. The shop became incorporated in July 2010 to become T.L. Tillett's Automotive Inc..
Today T.L. Tillett's Automotive Inc. continues to offer fair prices, high–quality repairs and exceptional customer service. The owners love having a personal connection with customers and employees alike, and being family–run, they pride themselves on treating everyone like family. 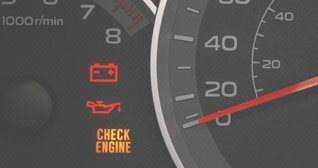 They always strive to fix every customer's car the right way, the first time–with fast turnaround time. T.L. 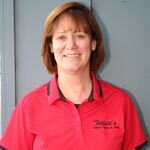 Tillett's Automotive Inc. cherishes Subarus and enjoys focusing on only one car make. Tom started working on cars at a service station when he was 17. He worked at a variety of local dealerships and independent shops, and spent 29 years working on Volvos. After he found himself disenchanted with the Volvo brand, he decided to branch out on his own. After working with his friend on Subarus, Tom realized he loved what Subaru was doing with their cars and their designs. After a couple years exploring the nuts & bolts of Subarus, Tom opened T.L. Tillett's Automotive in 2004. Over the past decade, he has grown his shop into the thriving family business it is today. Tom truly loves what he does and enjoys interacting with his customers. Since Joann joined Tom in 2006, she has been a bookkeeper, customer service representative, service writer, sales person, and mom to all. She has been in the banking and mortgage industry since her senior year in high school. She loves customer care and she'll help where anyone needs her. Her calm demeanor keeps everyone grounded. Andrea is our General Manager and is being groomed to become an owner alongside her parents, Tom & Joann. She has always worked in the customer service industry. Her infectious personality puts everyone at ease. She is always willing to go above and beyond to help someone, either at work or with family and friends. 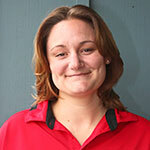 For the past 5 years, Andrea has managed the service department, parts department, and even the technicians. 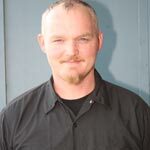 Chris has come to us with 8 years of automotive industry experience. He is self–taught and has several years of Subaru factory training along with his ASE certifications. He's the newest member of our automotive family, and has proved to be a great addition.